Preface; 1. Setting the stage: star formation and hydrogen burning in single stars; 2. Stellar death: the inexorable grip of gravity; 3. Dancing with stars: binary stellar evolution; 4. Accretion disks: flat stars; 5. White Dwarfs: quantum dots; 6. 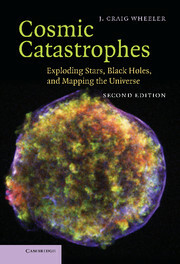 Supernovae: stellar catastrophes; 7. Supernova 1987A: lessons and enigmas; 8. Neutron stars: atoms with attitude; 9. Black holes in theory: into the abyss; 10. Black holes in fact: exploring the reality; 11. Gamma-ray bursts, black holes and the universe: long, long ago and far, far away; 12. Supernovae and the universe; 13. Worm holes and time machines: tunnels in space and time; 14. Beyond: the frontiers; Index.